Super fast delivery! Thanks, seller! Have repeated order for this product many times. Fast delivery. Not yet try the product. Fast delivery, well received in good conditions. Thanks seller!!! Receieved in good condition. Will update again if it's effective. 1 capsule is 6000 mg, right? day? The capsule is taken for before meal or after meal? Yes, 1 capsule is 6000mg. You can take one capsule since you are not having dinner. The capsule is to be taken immediately after a meal. Hi, as I previously asked but to no reply. may I know do you have CoffeeTone Slimmers? As previously I saw this listed in your shop but I can’t find it in the listing now? Will it be restocked soon? Thanks. Dear Customer, sorry for the late reply. We still selling CoffeeTone Slimmers. Perhaps you would like to visit our website to purchase? Thank you. Hi, may I know do you have CoffeeTone Slimmers? As previously I saw this listed in your shop but I can’t find it in the listing now? Thanks. 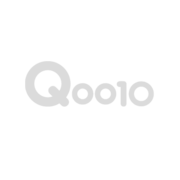 Hi, will it be listed on qoo10? Hope you will sell it on qoo10 too as I have always purchase from your qoo10 shop and it would be more convenient for me and my friends. Thank you! Dear Customer, thank you for your feedback. At this moment for CoffeeTone Slimmers our management has pulled it down from Qoo10 as it were slow selling. Thus we have put-up other new products. Hi, may I know what's the min age required to take this product? Preferably 18 years and above. Hi, it says UP $38.50, but it's still selling at $38.50 instead of promo price. May I know when will the item be on sale again? Thanks! There's no promotion for our Green Coffee Bean as far as we know. Unless for our Japanese Green Tea at the moment there's a 15% off Free QXpress delivery. Hi. Can I combine this with other supplements like calcium n probiotics? There's shouldn't be any problem for calcium but it has to be interval of 1 - 2 hours. For the probiotics we are not sure. Perhaps you could check with your doctor. Hi how come retail shop such as Watson do not carry this product? With regards to your question it is because Watson did not order this from us therefore we did not supply to Watson.